A survey conducted this year by the Kyrgyzstan Federation of Trade Unions (KFTU), including unions representing mining and construction workers, found that laws against child labor in the country are inadequate and implementation is uneven, resulting in more than 250,000 children being subjected to hazardous work as recently as 2014—10 years after the country ratified the International Labor Organization convention for elimination of the worst forms of child labor. The KFTU’s survey contributed to a scheduled ILO review of core labor standards in the country. “The engagement of underage citizens of our republic in the worst forms of child labor is an urgent problem,” concluded the KFTU. Through interviews conducted by Insan Leilek Social Foundation in Sulyukta this year, supported by the Solidarity Center, KFTU found that many children in the area began working in mining as early as age 8, to help support their families. These children, says the KFTU, are denied a complete education, suffer “abusive treatment” and deteriorated health because of inadequate medical care and lack of protection by government agencies. The greatest contributor to child labor, says the KFTU, is lack of enforcement of laws in the informal economy and agriculture. Children are most commonly found working in street trading, domestic labor, cottage industries and agriculture, especially the cultivation of cotton, rice and tobacco. A 2014 medical study cited by the KFTU found that 8- to 14-year-old market workers on average lifted and hauled more than 1,717 pounds per day, while 15- to 16-year-old children handled an average of almost 3,000 pounds per day. Nearly half of the children in the countryside (48.6 percent) work, according to government statistics, and the jobs are often hazardous. Children in fields are exposed to pesticides and chemical fertilizers without protective clothing or safe-handling protocols. 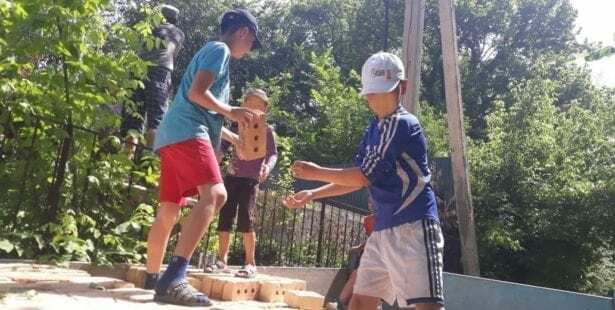 Citing a 2017 report by the Office of Akyikatchi (Ombudsman) of the Kyrgyz Republic, KFTU describes how children engaged in cotton cultivation that year spent more than 90 percent of their 10- to 12-hour workday in a bent position, with each child bending an average 9,000 times per day. Children engaged in rice cultivation spent more than 70 percent of their 10- to 12-hour workday with the upper body bent, with each child bending an average 19,440 times per day. To combat the worst forms of child labor, KFTU recommends that the government create a dedicated state program for eliminating the worst forms of child labor—one which welcomes input from civil society. Other recommendations include governmental monitoring of child labor, increased legal penalties for violation of child labor laws, a government-funded campaign to educate citizens about the harmful effects of child labor and the creation of a coordinating council headed by high-ranking government officials of the Kyrgyz Republic. The survey resulted from a Solidarity Center training for KFTU affiliates on international labor standards, during which participants developed an action plan for submitting workers’ commentary on child labor in Kyrgyzstan to the ILO. Of the 152 million children forced to work around the world, nearly half—73 million—are engaged in hazardous work.